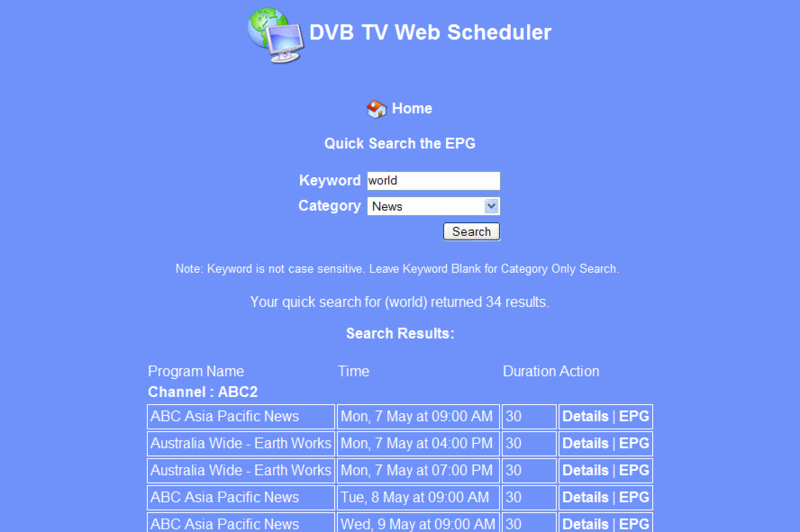 TV Scheduler Pro (formerly DVB Web Scheduler Pro) is a Television capture and scheduling tool for scheduling unattended recordings of free to air Television programs using one or more DVB-T tuner devices. 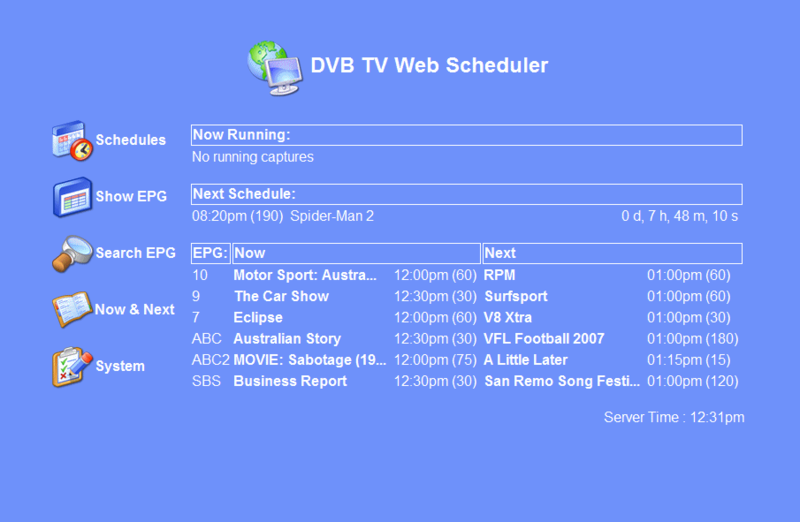 TV Scheduler Pro (formerly DVB Web Scheduler Pro) is a Digital Television capture and scheduling tool for scheduling unattended recordings of free to air Digital TV programs using one or more DVB-T tuner devices. 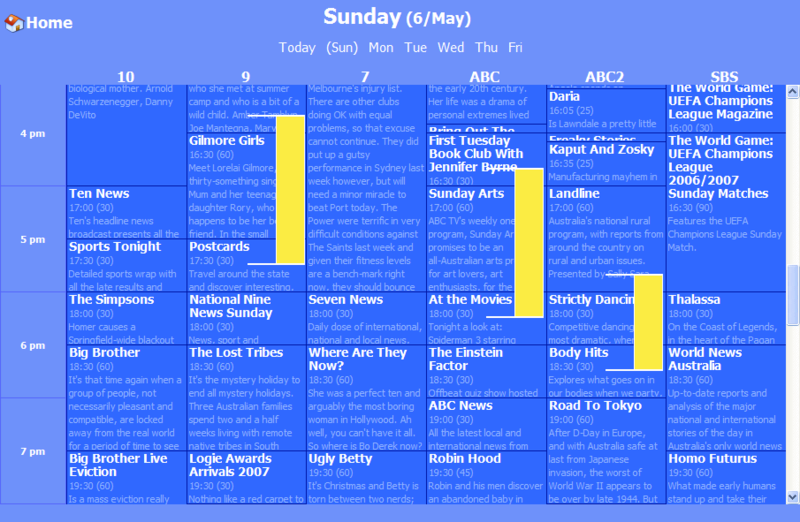 TV Scheduler Pro runs as a service on your computer, you interact with TV Scheduler Pro using the fully functional Web interface in your favourite Web Browser. 1. Updated all deprecated calls except for finalise. - Recommend Java 11 or later, 32bit required - get from "https://adoptopenjdk.net/index.html"
3. Added tvshow.nfo, episode.nfo and artwork tagging for Kodi integration. Refer General Settings to enable and further info. 5. Changed calvi kb interface to a 4k version. Old version named calvi.lowres for older displays. - Old version will not be futher maintained. 6. Updated all icons to 128x128 and cleared unused ones as well as make some outliers more consistant theme. 7. Ignore comments and fixed typos in guideloader. 12. Tested with Windows 10 and Hauppauge Quad Tuner. 13. Updated Stationdata.list, but no changes since 2016.